Children will fall in love with Bernard, the sleepy bear with a simple wish, in A Bed for Bear. It’s time for Bernard to hibernate, but the bear cave is too crowded, too quiet, and too uncomfortable. So Bernard sets out to search the forest for the perfect bed for winter. But all he discovers are spots too windy, too wet, and too wild for him until he realizes that the perfect bed for a bear was right in front of him all along. 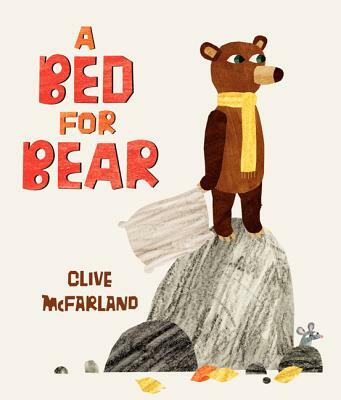 With simple text and evocative illustrations by debut author-illustrator Clive McFarland, this heartwarming picture book is a perfect part of any bedtime routine.